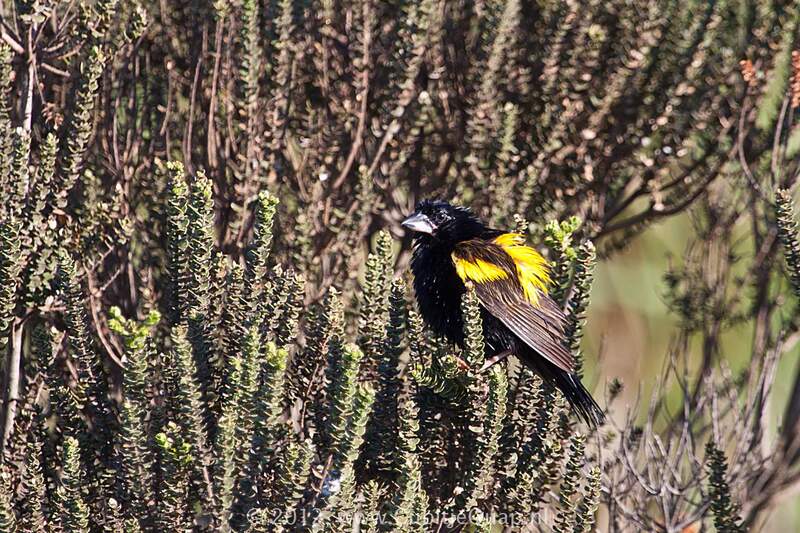 In comparison with Yellow-manteled Widowbird, breeding male has a much shorter tail, and a yellow rump and lower back (not a yellow mantle). Non-breeding male is streaked greyish brown above, and is pale below. Breast and flanks are heavily streaked with brown, but retains a bright yellow rump and shoulder. Some show a white lower mandible. 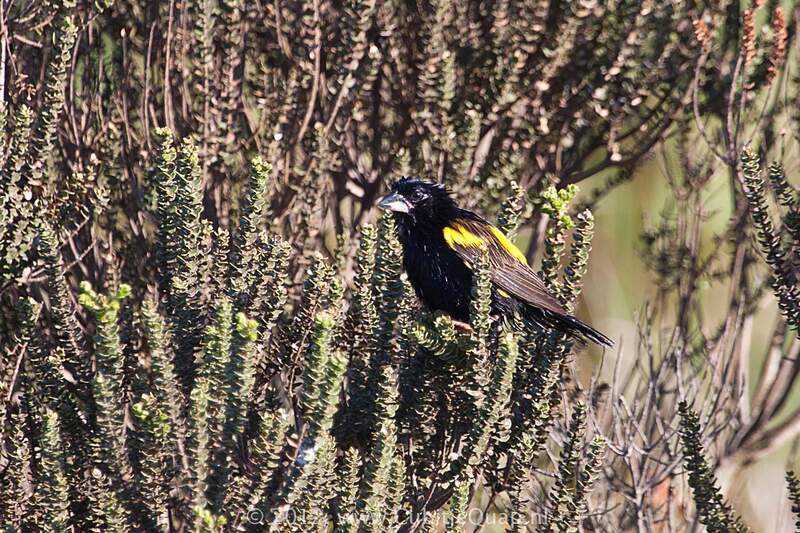 Female differs from female Yellow-manteled Widowbird in being more heavily streaked below and having a dull yellow rump. Juvenile resembles female. Damp grassy areas, bracken-covered mountain valleys and fynbos. A 'zeet, zeet, zeet' and a harsh 'zzzzzzzzt', given by male in flight.